Portable in Worms style game. Free action games, to download doom type. Leer esto en español (This reading in Spanish): Arcade tipo Bubble gratuito. 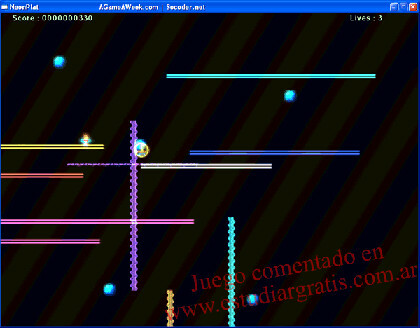 >> Go to: Games free download. Free game to download Bobble style, NeonPlat. Is NeoPlat 2.6 MB, it comes in a compressed file (.zip); decompresses it and plays it, is "portable" doesn't require installation.